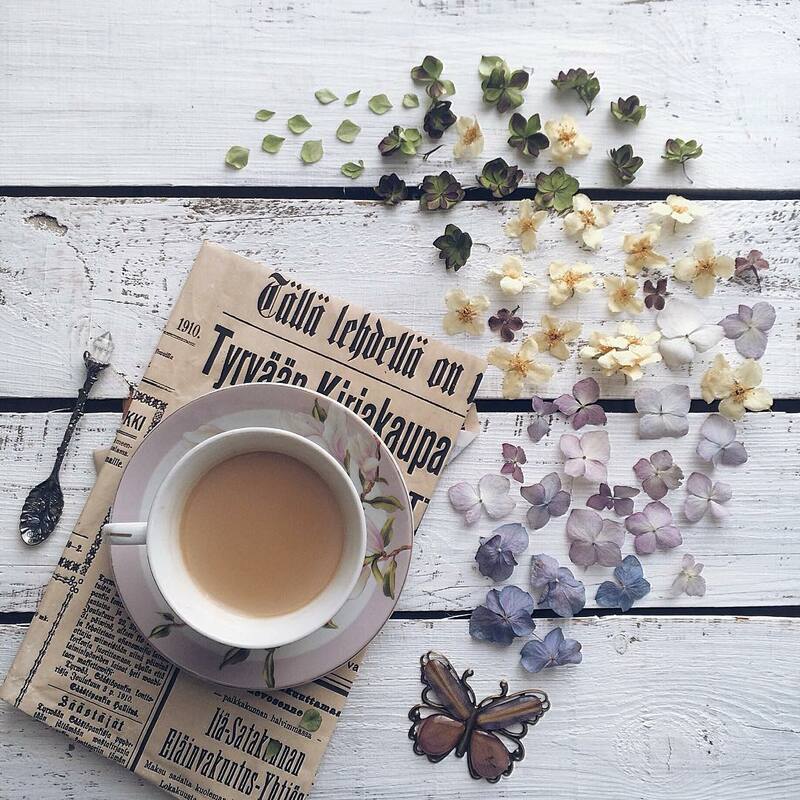 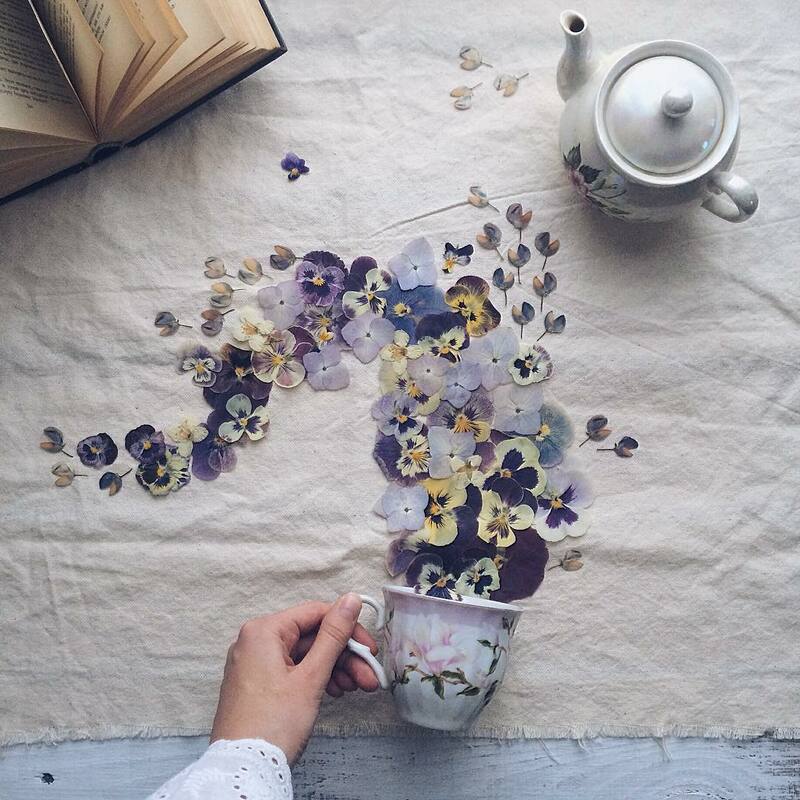 Plants, a tea set and a tabletop is all the things needed for that lovely floral tea story by Russian artist Marina Malinovaya. 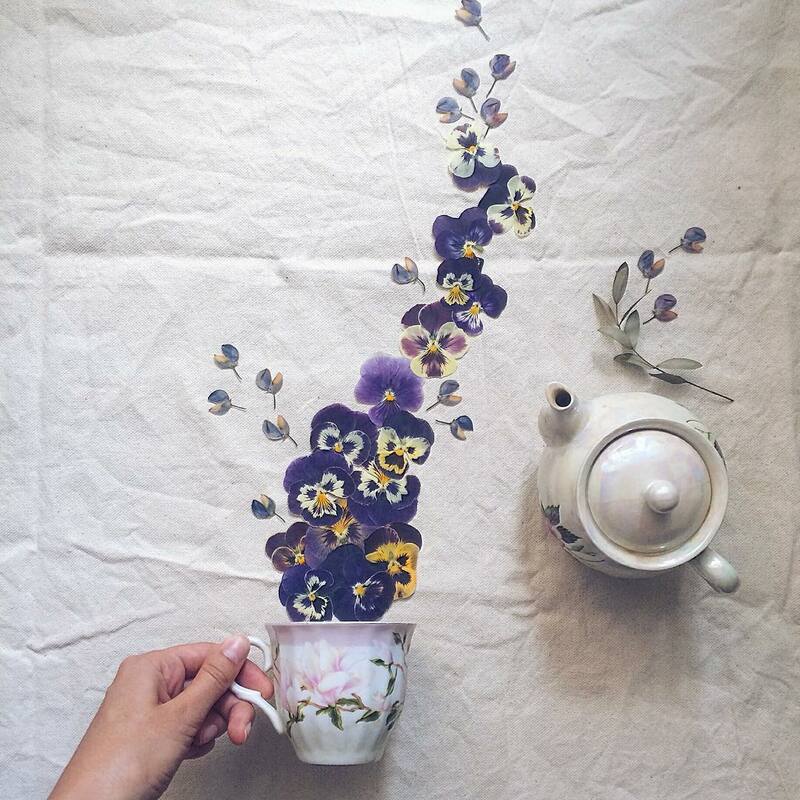 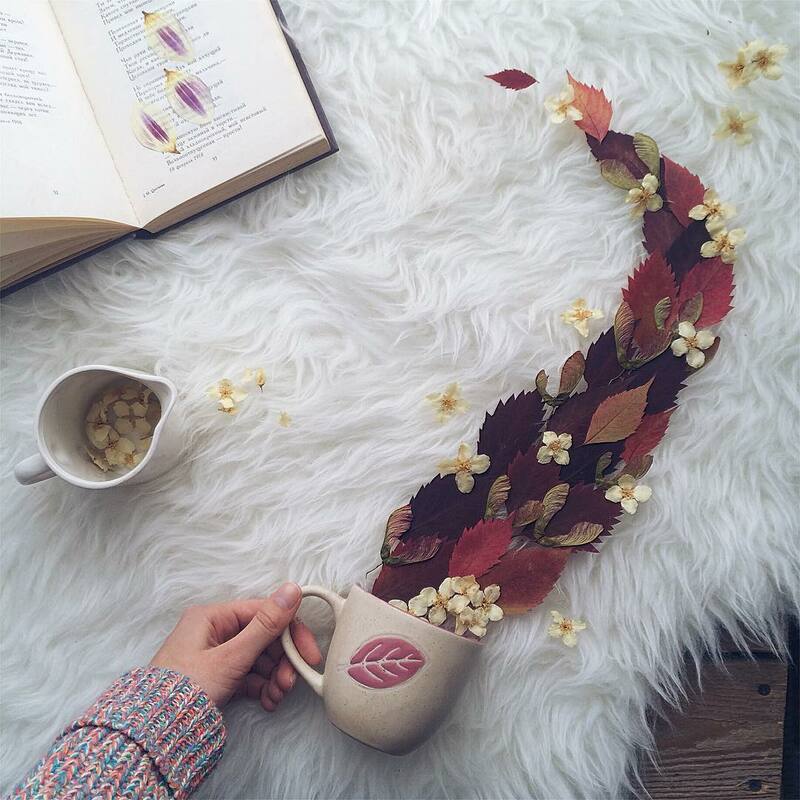 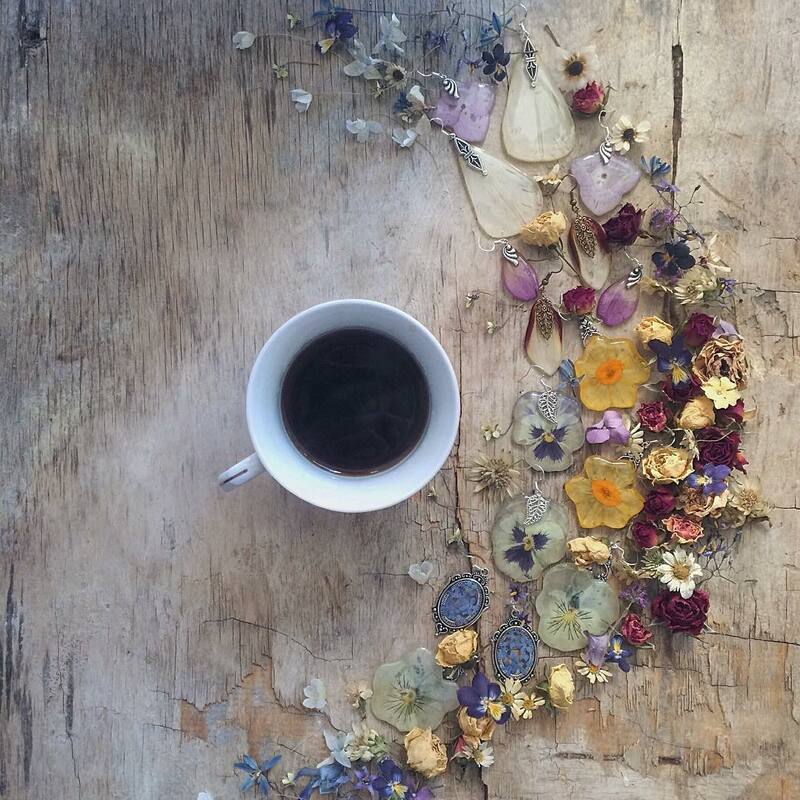 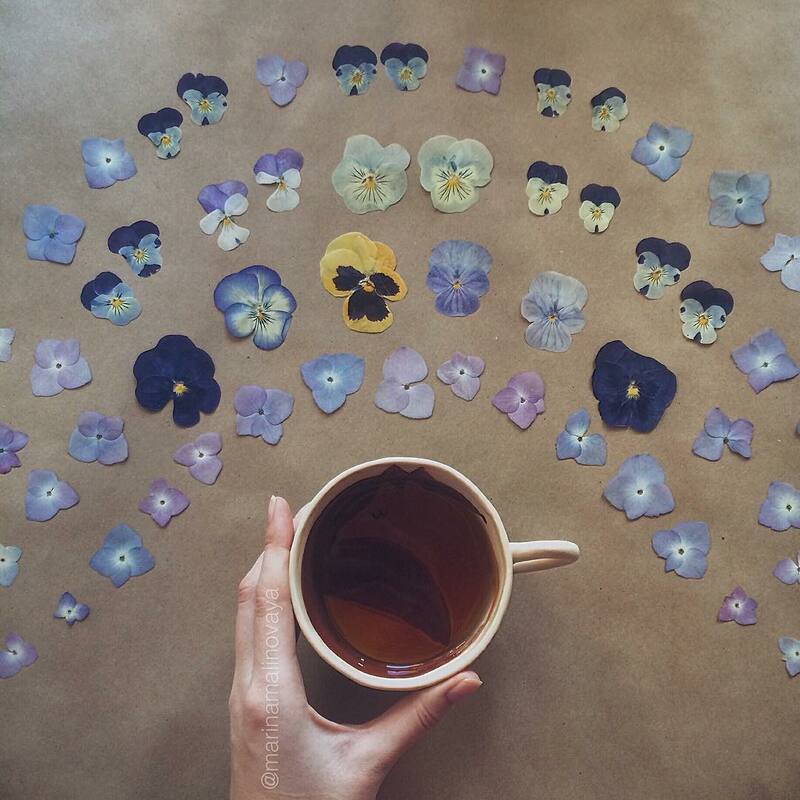 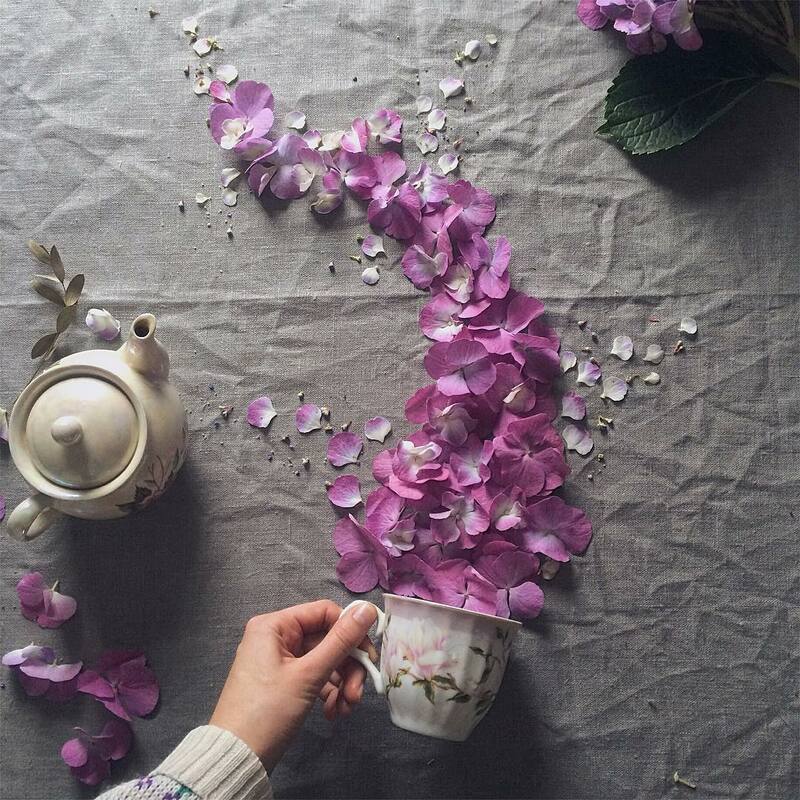 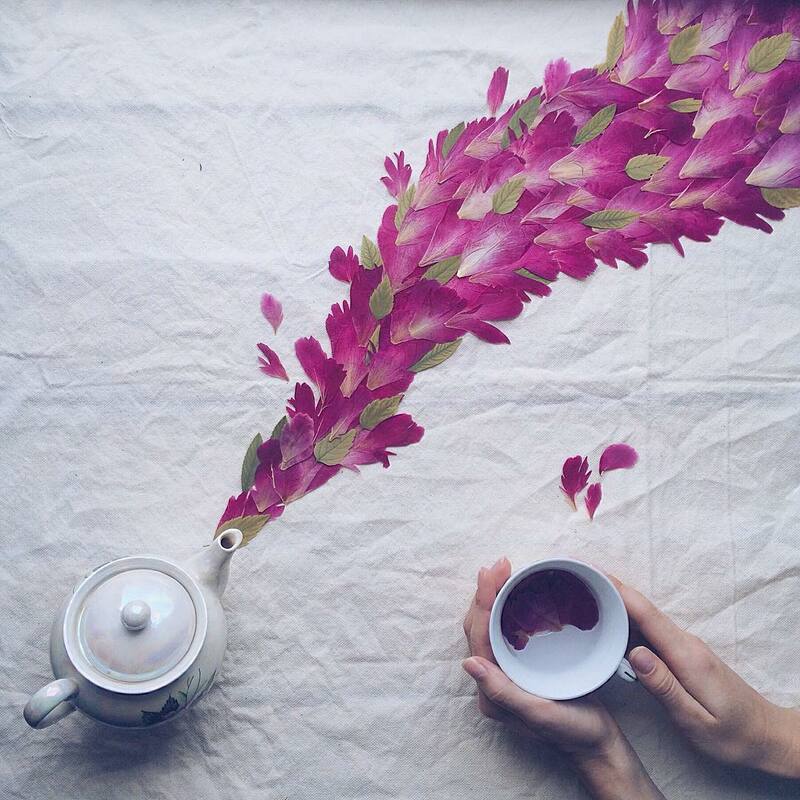 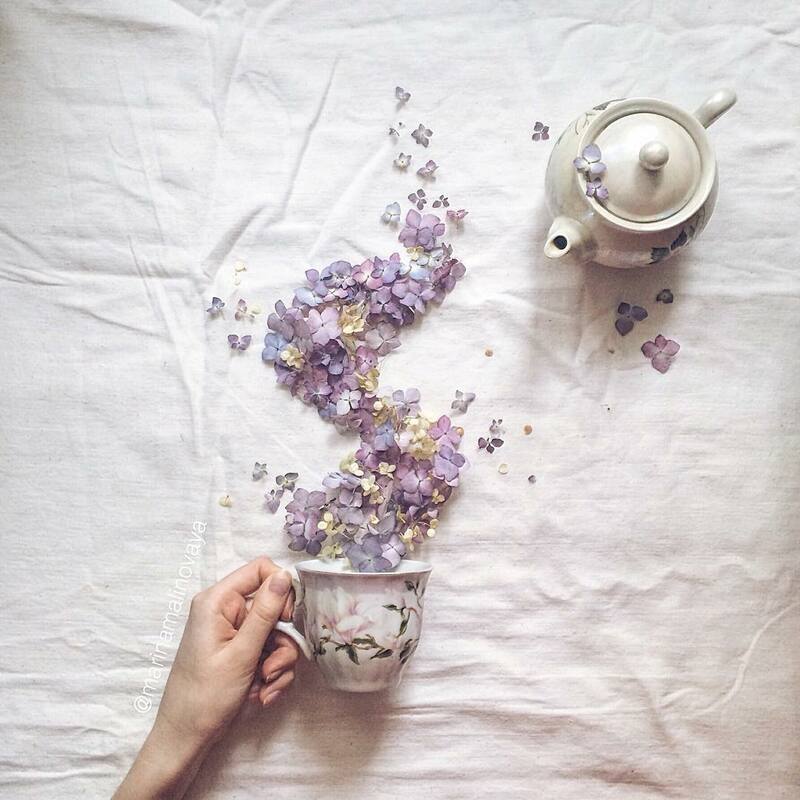 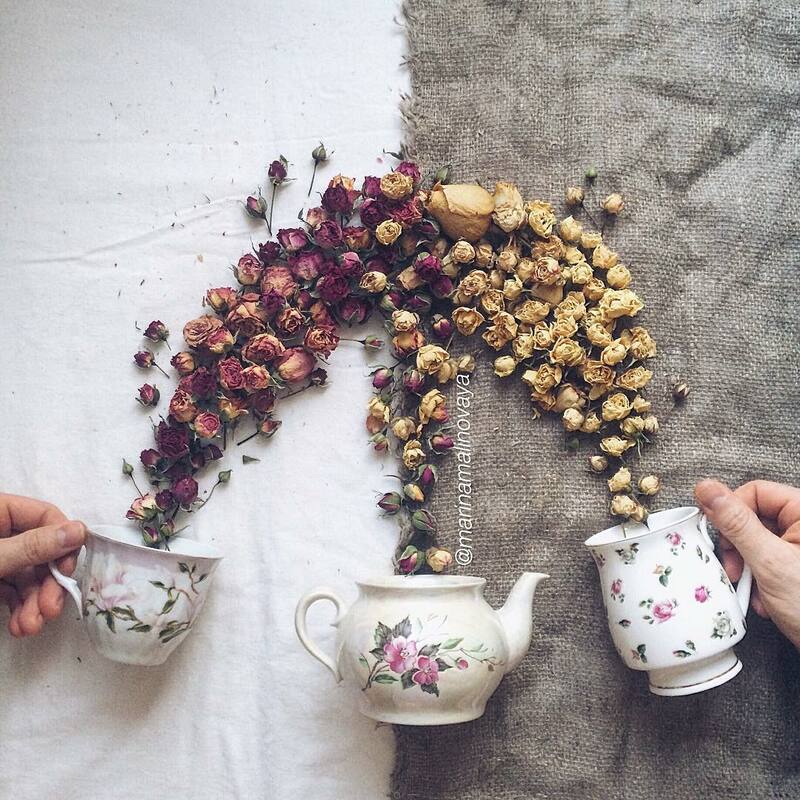 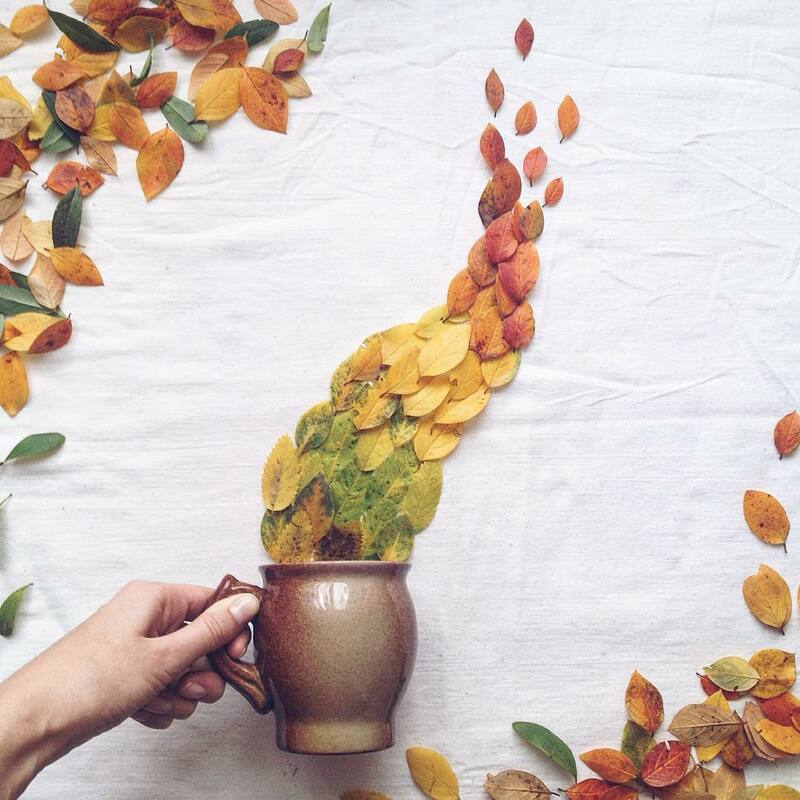 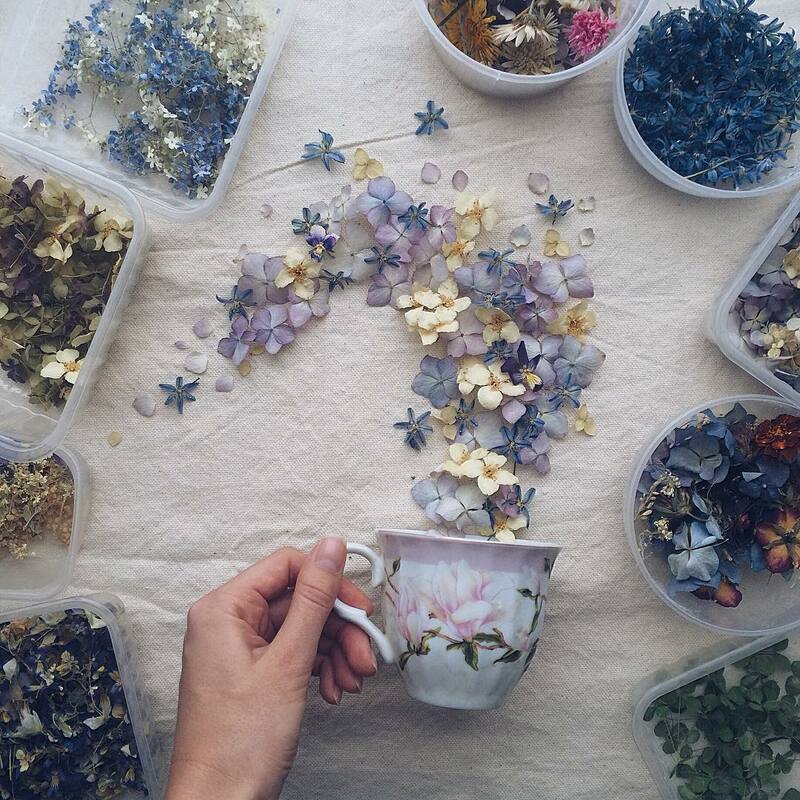 The cleverly created illusion of cups overflowing with flora has fanciful photograph featuring the artist’s hand clutching the handle of a teacup, teapot, or mug. 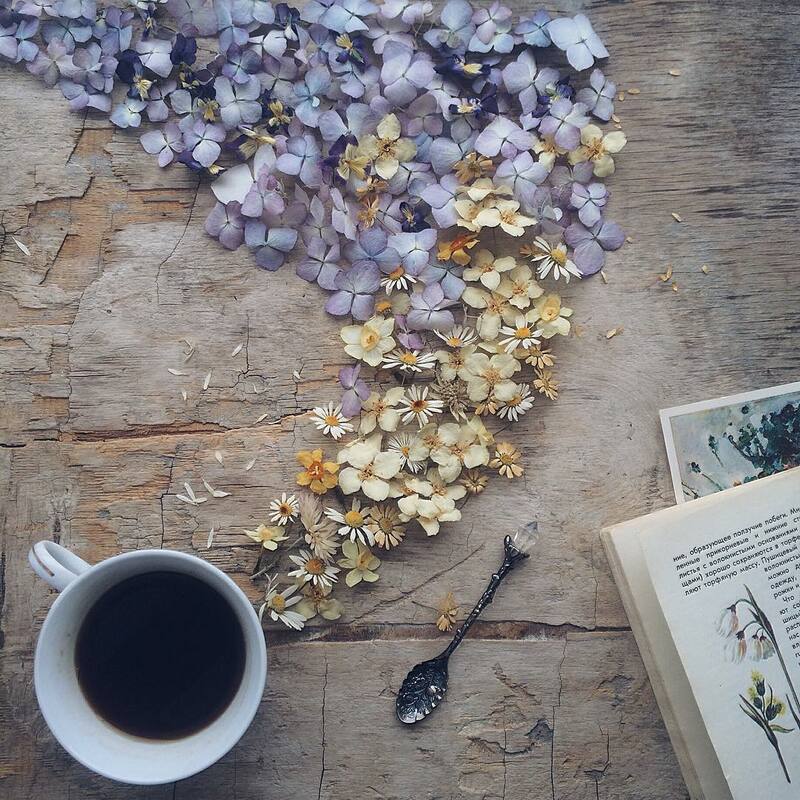 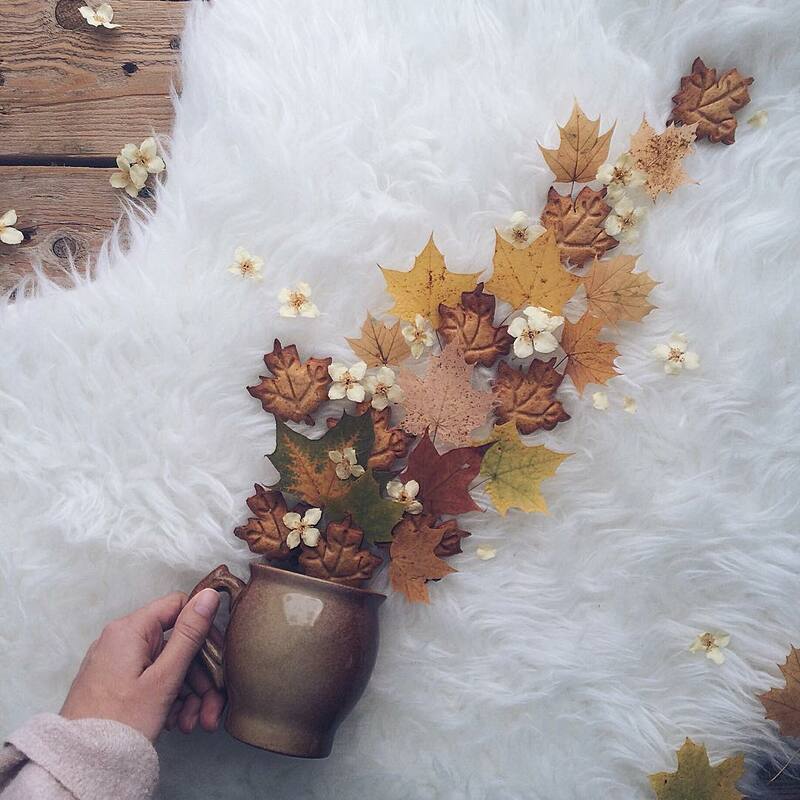 Colourful dried leaves and beautiful flowers are also artisticaly arranged on the surface. 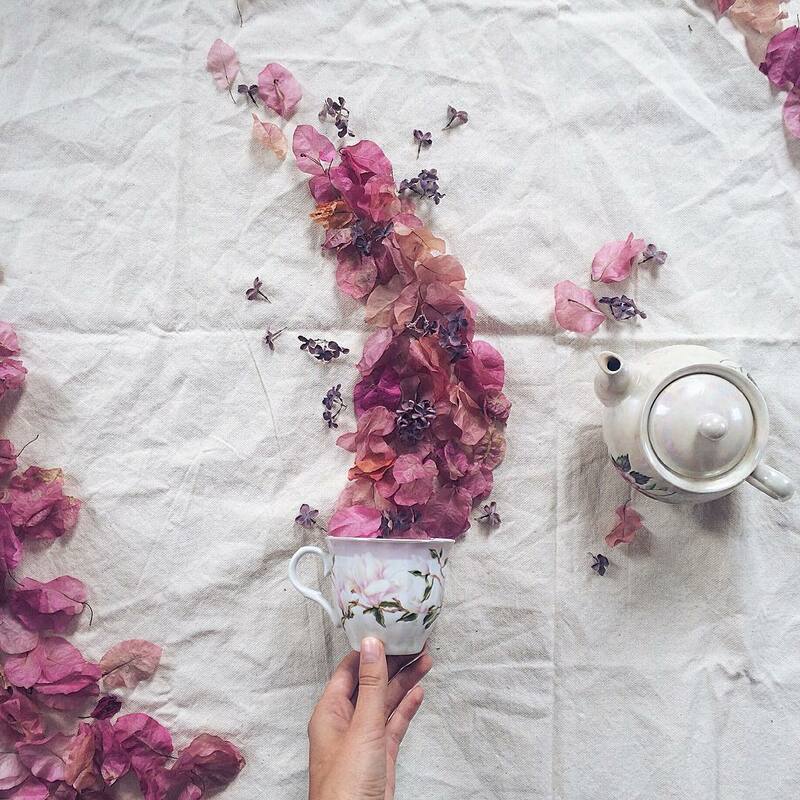 It creates a feeling as if a stylish steam is arising from a warm cup of tea due to placement and swirling formation. 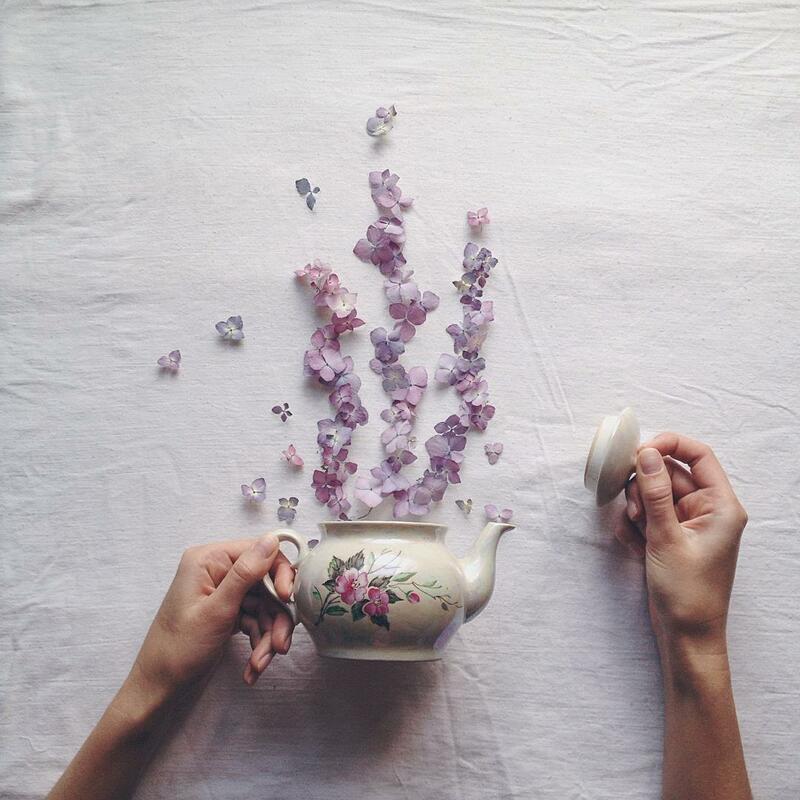 The vessels are actually toppled over onto the table and clicked in such a way it looks as if steaming flowers are coming out. 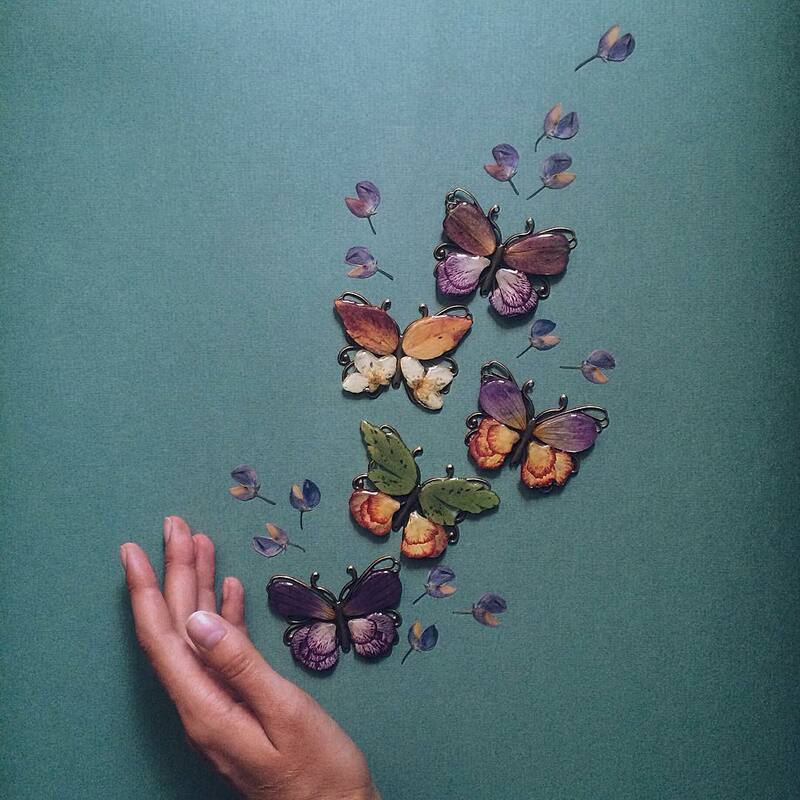 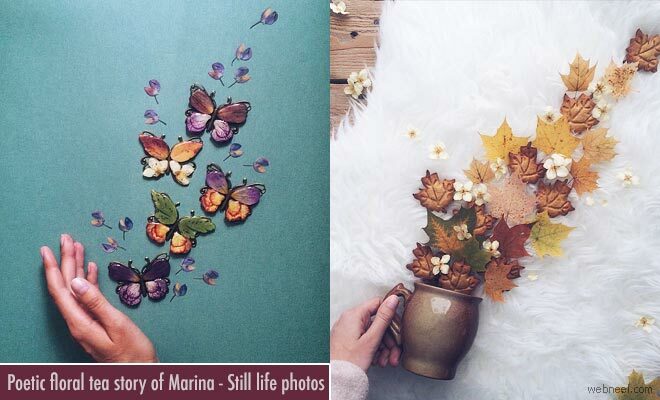 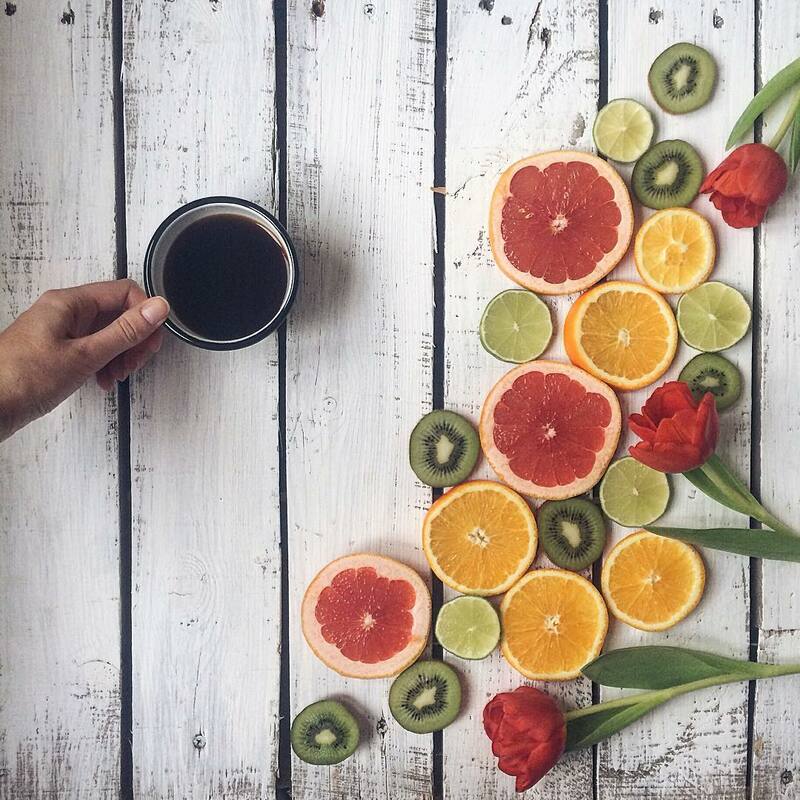 Lovely creation of Marina exhibits her love for nature and creativity.